Program Director of Youth Development Tomodachi Summer and Teen Program Japantown Youth Leaders (JYL) Nikkei Community Internship (NCI) Asian Youth Prevention Services (AYPS) Erika Tamura is a former program participant and began working at JCYC in the early 1990’s. She has worked with a variety of programs including the JCYC Summer Daycamp, Asian Youth Substance Abuse Project, Integrated Services for Asian Youth and San Francisco YouthWorks. As Director of Youth Development Programs, Erika currently oversees the Asian Youth Prevention Services (AYPS) program, Japantown Youth Leaders, Nikkei Community Internship Program, and the Tomodachi Summer Program. 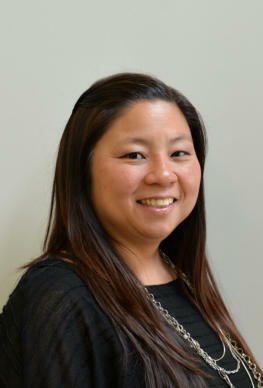 Erika Tamura Program Director of Youth Development Tomodachi Summer and Teen Program Japantown Youth Leaders (JYL) Nikkei Community Internship (NCI) Asian Youth Prevention Services (AYPS) Erika Tamura is a former program participant and began working at JCYC in the early 1990’s. She has worked with a variety of programs including the JCYC Summer Daycamp, Asian Youth Substance Abuse Project, Integrated Services for Asian Youth and San Francisco YouthWorks. As Director of Youth Development Programs, Erika currently oversees the Asian Youth Prevention Services (AYPS) program, Japantown Youth Leaders, Nikkei Community Internship Program, and the Tomodachi Summer Program.